Wednesday Wrap: Music streaming services, radios and in-ear monitors | What Hi-Fi? This week's wrap is packed full of news including a pair of limited edition in-ear monitors from Noble Audio, two new radios from Goodmans and Philips, and the latest developments regarding three music streaming services: Qobuz, Tidal and Deezer. Lossless streaming service Tidal has been hitting the headlines lately. A couple of weeks ago Kanye West released his latest album, The Life of Pablo, onto the service as an exclusive, announcing it wouldn’t be available anywhere else. This helped Tidal shoot straight to the top of the US App Store, but unfortunately the album didn’t chart in the Billboard 200 because Tidal doesn’t report its streams to Nielsen Music. Nielsen Music is responsible for recording the number of streams of songs and albums since it was decided they would count towards a record’s RIAA certification. Since then, Tidal has, in its own words, "terminated CFO Chris Hart and COO Nils Juell". They are the latest in a string of executives to have left the company, including two CEOs, a Chief Investment Officer, its US Sales and Marketing Manager and its SVP of Label and Artist Relations. 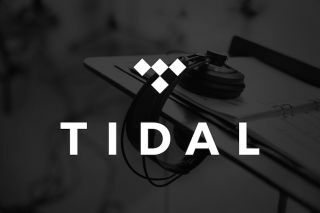 According to the New York Post, Samsung is considering buying Tidal while Google and Spotify are also believed to be eyeing up the struggling streaming service. Qobuz has announced that The Beatles catalogue is now available to stream on its service in lossless CD quality. With the acquisition of the Fab Four's back catalogue, Qobuz is the first site to allow you to download the band’s discography in 16-bit uncompressed audio. The catalogue includes 13 studio albums and four compilations. Nine other streaming services, including Spotify, Apple Music and Tidal, already offer the Beatles' music to stream but up until now Tidal was the only one to offer it in lossless CD quality. More music streaming news as Deezer has announced its now available on Windows 10. The Deezer app can now be used across all Windows 10 devices, whether it be mobile tablet or desktop, with one universal app. Previously, Deezer had different apps depending on the Windows device. The new universal app gives free and paying users access to its 40 million strong catalogue. Danish company Soundboks has hit its Kickstarter goal of $100,000 to create the Soundboks wireless speaker, which its maker claims is the loudest battery-powered speaker available. The speaker, which is similar in size to a guitar amplifier, delivers volumes of up to 119dB - said to be louder than a concert PA system. The Soundboks speaker also promises a two and a half day battery life and has a weather-resistant outer casing, which can withstand rain, snow and sand. You can pre-order your own Soundboks speaker from Kickstarter now from $459, with shipping expected in April 2016. Philips has launched the AE8000 radio, with Internet radio, DAB+ and FM tuners. You can store up to 20 preset stations and a large display on the front shows station and song information. Philips says you’ll get a “powerful and clear sound” from the front-firing speaker, but a headphone port is also available for private listening. The AE800 is available now for £120. Goodmans has also been busy making a new radio, in the form of the Heritage II Connect Portable. Like the Philips it has a DAB+ tuner, but it adds multi-room capabilities and wi-fi, Bluetooth with NFC and Spotify Connect. You can control the radio using the accompanying UNDOK app for iOS and Android devices. Goodmans has fitted the radio with a digital amplifier and it has built-in DSP (Digital Signal Processing) technology. The real wood cabinet claims to be acoustically tuned to deliver a “rich, powerful yet detailed audio experience”. The Heritage II Connect Portable is available now for £170. Noble Audio has taken its K10U in-ear monitors and given them a new rose gold colour finish. The new colour is limited to 100 pairs and, due to the exclusivity, they will set you back £1325.